Ocean Beach Comedy Presents Ron Jeremy's XL Comedy Tour! 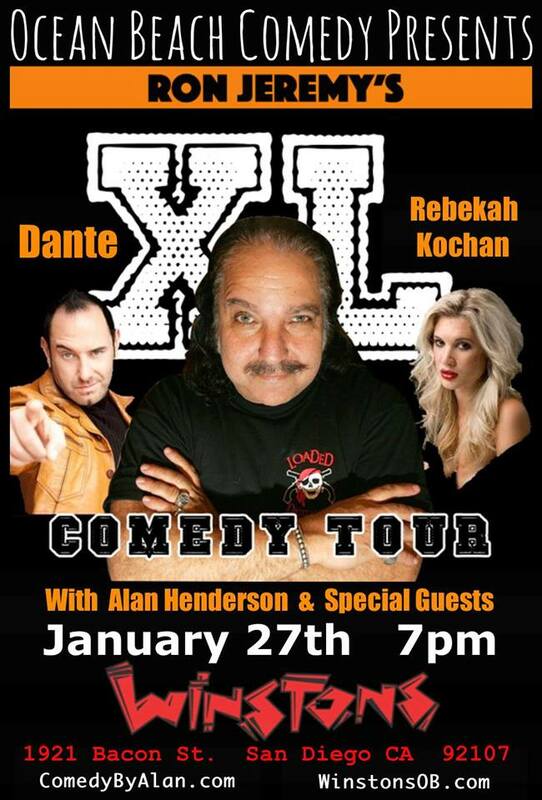 Ron Jeremy hosts the show with Rebekah Kochan featuring and Dante headlining. Alan Henderson is performing along with some special guests. Earlybird tickets are available now for a discounted rate of just $10. Get them now before the price goes up or the event sells out!